Recent advances in technology allow Memorial Sloan Kettering Cancer Center pathologists to perform swift and accurate molecular analyses of tumor cells in patients with colorectal cancer. By determining the gene mutations of individual tumors, doctors may be able to prescribe treatments that are most likely to be effective for patients, while avoiding drugs that will provide no benefit and may cause serious side effects. When colorectal cancer is diagnosed early, surgical removal of the tumor can be curative. Unfortunately, some patients have microscopic tumor cells that are not detectable before or during surgery, and this will eventually lead to a recurrence. As a result, many patients — such as those with cancer that has spread to nearby lymph nodes — now receive chemotherapy after surgery. Most of the chemotherapy drugs available for the treatment of colorectal cancer that has spread (also called metastatic disease) generally work by damaging the rapidly dividing cancer cells. While some patients respond favorably to these drugs, others receive no benefit at all; or worse, some receive no benefit while also experiencing serious side effects because these same agents also damage normal cells. For some time, doctors have known that colorectal cancer is actually a collection of many diseases that may superficially look the same under the microscope but have different genetic mutations. 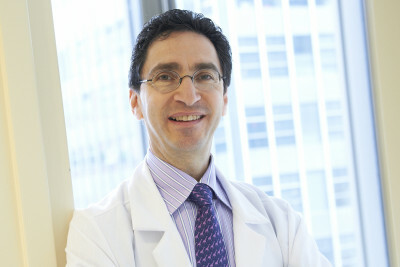 “The reason colon cancer is so common is because there are so many different ways for it to develop on the genetic level,” explains Leonard Saltz, Head of the Colorectal Oncology Section in the Department of Medicine at Memorial Sloan Kettering. 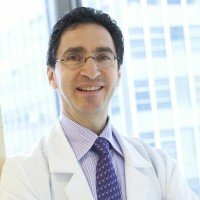 “To treat colorectal cancer most effectively, we need to understand each tumor individually.” Now, an evolution in molecular diagnostics is allowing pathologists to move from older testing methods that were slower and extremely labor intensive to molecular testing that employs robotics and can provide results more quickly as well as look for multiple mutations at the same time. This new, more sensitive, and more efficient technology comes from a company called Sequenom. It enables testing on smaller biopsy samples that contain fewer cells, making molecular testing an option for even more patients. Using the Sequenom technology and protocols developed here, every patient with metastatic colorectal cancer at Memorial Sloan Kettering has his or her tumor samples tested for more than 90 so-called hot spot mutations in a single analysis. In some types of colorectal cancers, mutations in the AKT signaling pathway can contribute to the growth and aggressive spread of colon cancer cells, as well as making them more resistant to chemotherapy. (A signaling pathway is a group of molecules in a cell that work together to control one or more cell functions, such as cell division or cell death. Abnormal activation of signaling pathways can lead to cancer.) “There are drugs currently entering into clinical trials that are designed to inhibit, or block, this growth pathway,” notes Dr. Saltz. “If molecular testing of a patient’s biopsy sample reveals a mutation in the AKT pathway — with no mutations in parallel pathways — then that individual would be a prime candidate for considering one of these trials.” In this case, the AKT pathway mutation is what is known as an inclusionary marker, meaning that patients with such markers are likely to be eligible to be included in current trials of investigational drugs that target the mutation. There are also exclusionary markers that can be helpful in determining which treatments will not benefit a particular patient. For instance, colorectal patients with mutations in the KRAS gene, which encodes a cell signaling protein, do not respond to the standard chemotherapy drugs panitumumab (Vectibix®) and cetuximab (Erbitux®). Consequently, patients with KRAS mutations can receive other drug combinations to treat their cancer, but would be spared needless exposure to these agents that we know in advance won’t work for them.